Whether you’re caring for an elderly or chronically ill family member, or a loved one with a disability, you do so out of love-because you care. Your commitment to making sure that he or she has everything needed for the best possible quality of life says a lot about you. It says that you’re compassionate, generous, and patient. And that you’d do anything in your power to help someone you care about. But what about you and your needs? Caregiving is a demanding job, and if you’re caring for someone at the expense of taking care of yourself, it could lead to unintended consequences. Not paying attention to your personal happiness and fulfillment can create resentment over time as you continue to put others’ priorities ahead of your own. Left unaddressed, this resentment can fester and grow until it transforms a once-great relationship into a task of obligation, and that’s not fair to you or the person you love so much. Remember…your loved one wants you to be happy, too! 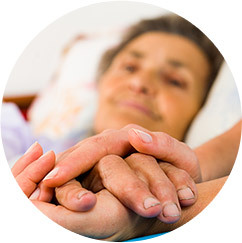 What Is Buffalo Respite Care? Respite care service from FirstLight allows you to take some time off from your responsibilities as a primary caregiver so you can focus on yourself for a while. While you’re away, we’re there to make sure that your loved one is well taken care of. 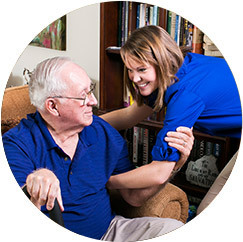 Our professional and compassionate caregivers can provide respite care at home or any setting for a couple of hours, an entire day, overnight, or even longer-term if needed. We’re here whether you need us once, or on a recurring schedule. 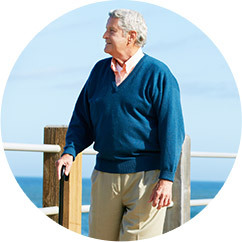 While we specialize in elderly respite care, our services are available to any adult needing our help. Being a caregiver is only part of who you are. If you don’t tend to all the other things that make you who you are-your spouse or other family and friends, your hobbies and interests, your career-you could be headed for trouble. Family caregivers who don’t take time for themselves can experience increased levels of stress, exhaustion, and even serious health problems. It’s OK to want some time for yourself, without guilt. Everyone deserves the opportunity to take a break; to step out of the everyday routine to relax, re-energize, and refresh. It’s healthy, normal, and can strengthen the relationship you enjoy with the person you care for. After all, when you’re happy and more energized, you’ll both be better off. FirstLight respite care services can help you find the “you” you’ve been missing without compromising the quality of care and attention your family member needs. Contact us today today to see how FirstLight Buffalo can help.